Hi everyone I hope that you are all well and happy! A big huge welcome to my little bit of blogland. 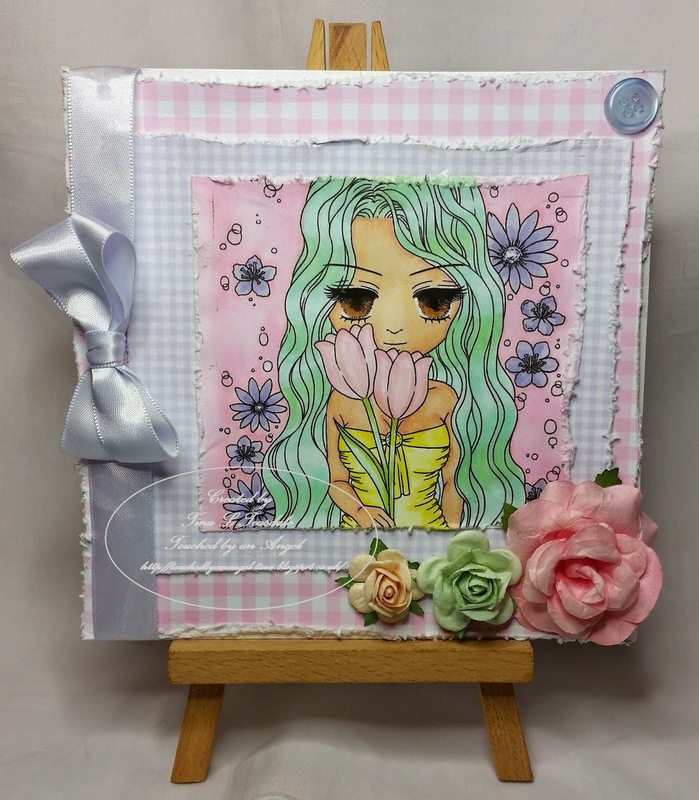 Today I would like to share with you a card that I have created as part of my DT duties for Crafting for all Seasons, The theme for this challenge is Pastel Hues and our sponsor is Art by Miran who is offering up an amazing 3 digi images to one lucky winner. So here it is and I hope that you like it! Ok so i took a 5x5 card blank and layered it with pastel pink and a pastel lilac gingham check cardstock that I distressed around the edges with my Tim Holtz distress tool. Next I coloured up the gorgeous Tulipa digi image, I used a selection of my copic pens. To finish I embellished with pastel flowers a button and a lovely satin double bow. A gorgeous card, love the design and Tulipa is gorgeous - love her hair! This is fabulous Tina, love the cute image. Congratulations on your DT position too.